KW Suspension’s Variant 3 coilovers (also known as KW V3) are as “sporty” as their suspension range gets before heading to the competition specific models, built for track and off-road use. Highly adjustable, the Variant 3 offers height, rebound and compression adjustment, all independent of each other. With unique valving and springs rates to each model of car they are built for, you can be sure the Variant 3’s will be a match to your car – not too stiff or bouncy. That said, do keep in mind that the KW V3 is a high-performance coilover. While they are perfectly suitable for street use, they’ve been built for performance first, comfort second. 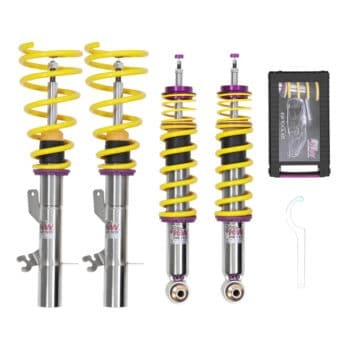 As a result, they will feel stiffer than your standard suspension. 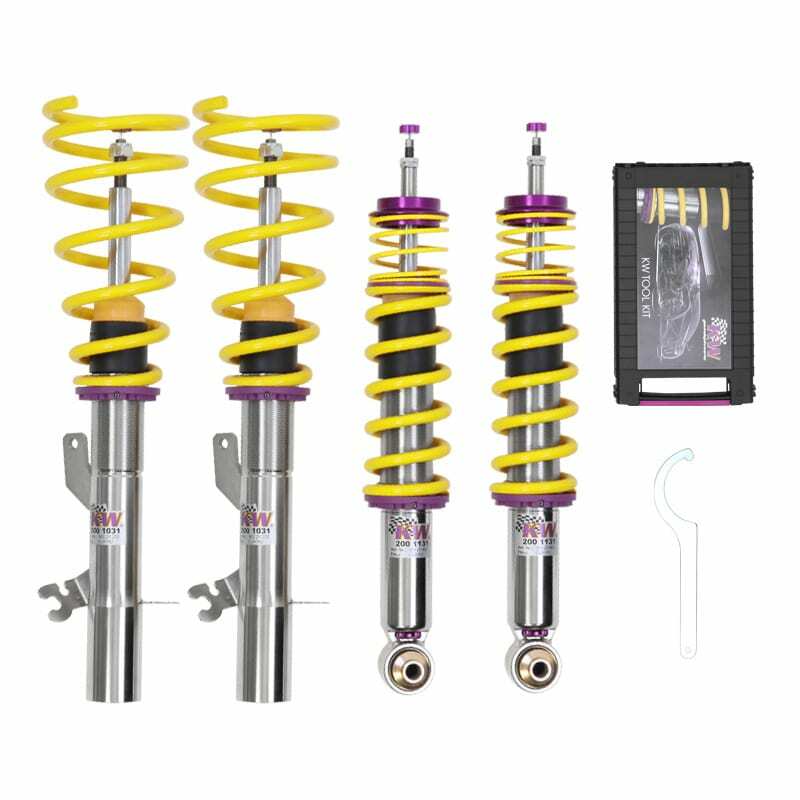 Despite being one of the more expensive coilover options for street-use, KW Variant 3’s benefit from the research and technology used in their competition use coilovers. Variant 3’s are ideal for performance-oriented drivers and automotive enthusiasts who want to push their vehicles, while still retaining the practicality of daily street-driven use. My car now handles like it’s on rails and honestly the bumpiness/ride quality is very tolerable, even with the car lowered all the way. Installation was very straightforward and painless for a BMW M3. Excellent quality, outstanding handling. Overall they were a good compromise for something suited to street and track. I do find them a bit too hard and firm to drive for normal street use in my GT86.